This Home is a must see, Beautiful 3 bedroom 2.5 bath with a 1200 sq ft 3 car garage on over an acre. 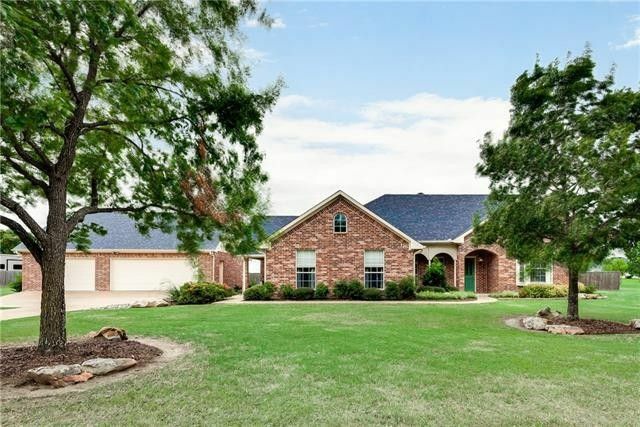 This home was recently remodeled in 2012, with high end products, including the bathrooms and kitchen, also includes a media playroom, office, sun room, covered back porch and fenced in back yard. Stainless Steel appliances in the gourmet kitchen. Fabulous master suite, with his and her sinks, wonderful oversized shower with a really nice walk in closet. This home is very easy access to Dallas. Come see this beauty today, you won't be disappointed. All info to be verified in this listing.